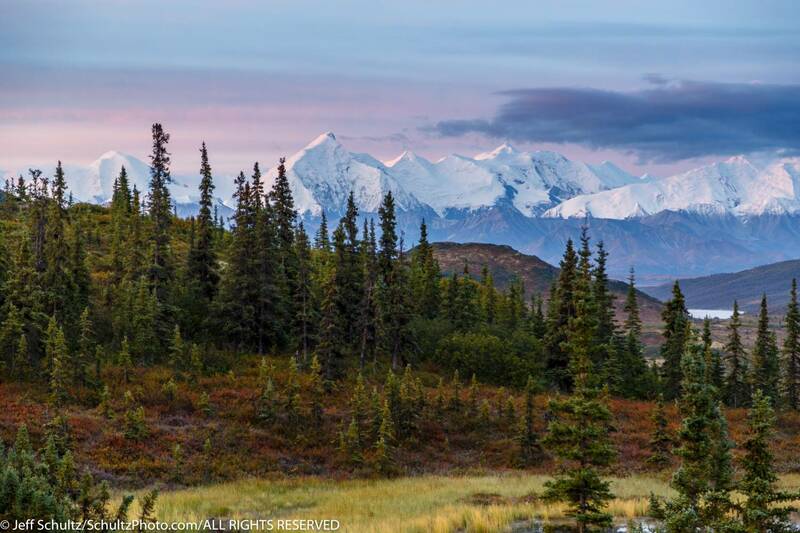 This trip will take you on a week-long photo tour of one of the most spectacular regions of Alaska—Denali National Park. 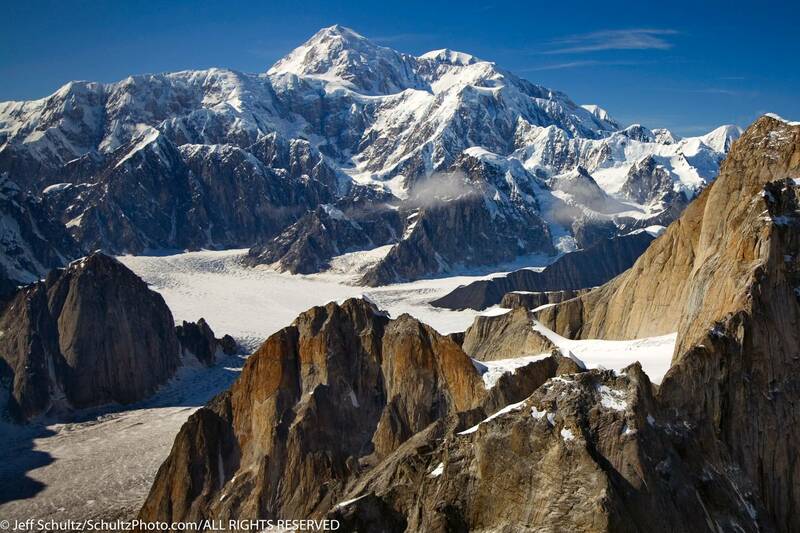 You will experience imposing mountain scenery, giant glaciers, and idyllic valleys. 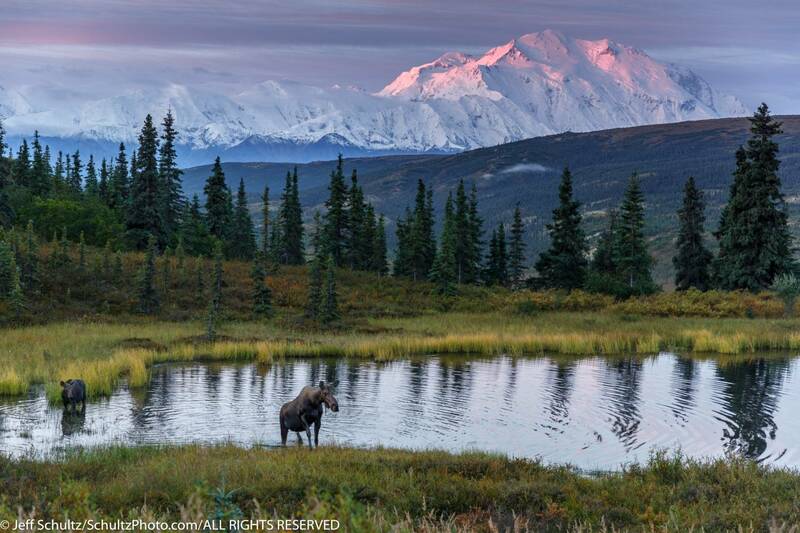 Additionally, to photographing the impressive Alaskan landscapes, you will also have ample opportunity to photograph the diverse wildlife the park has to offer. 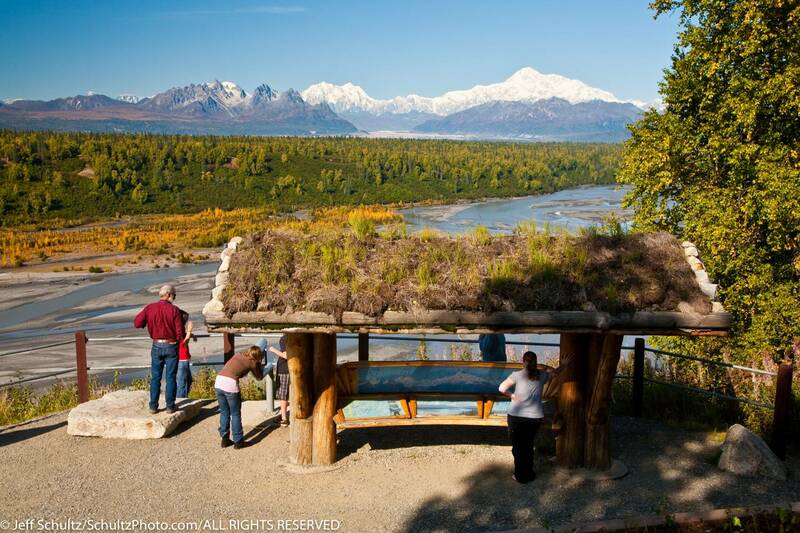 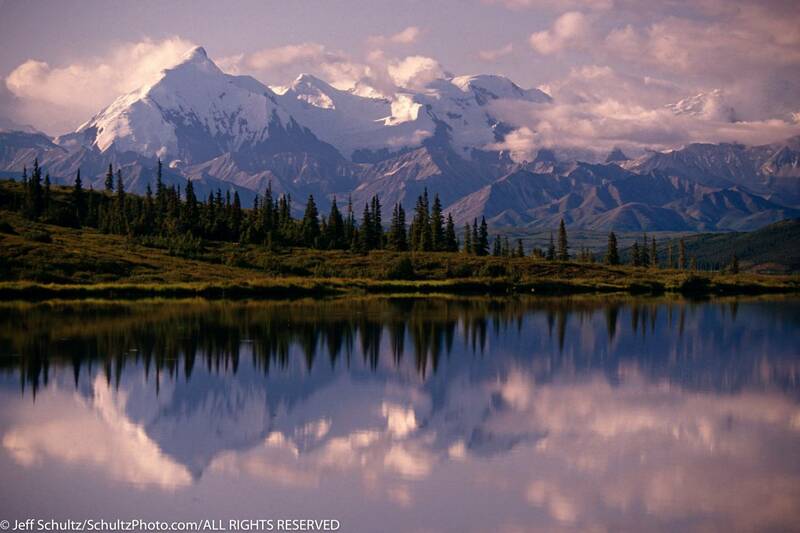 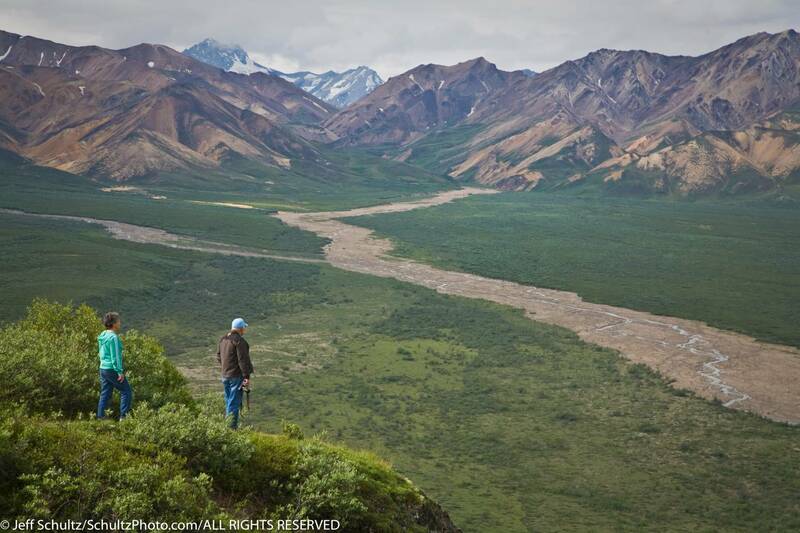 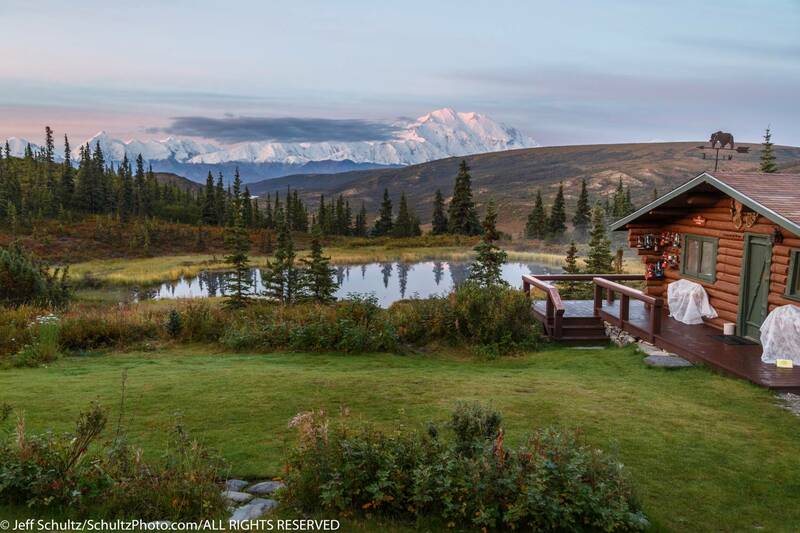 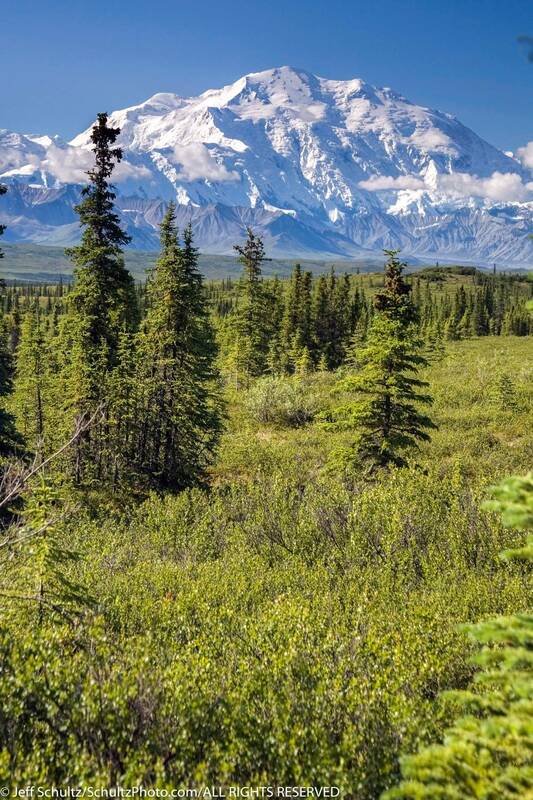 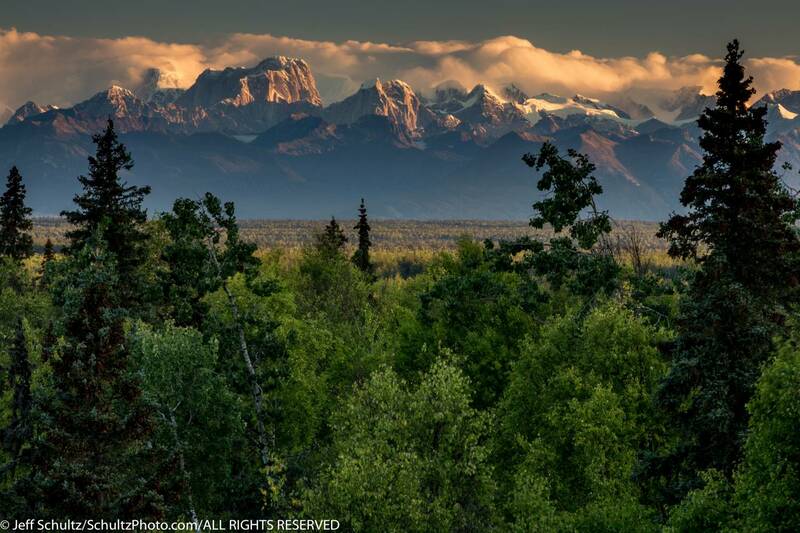 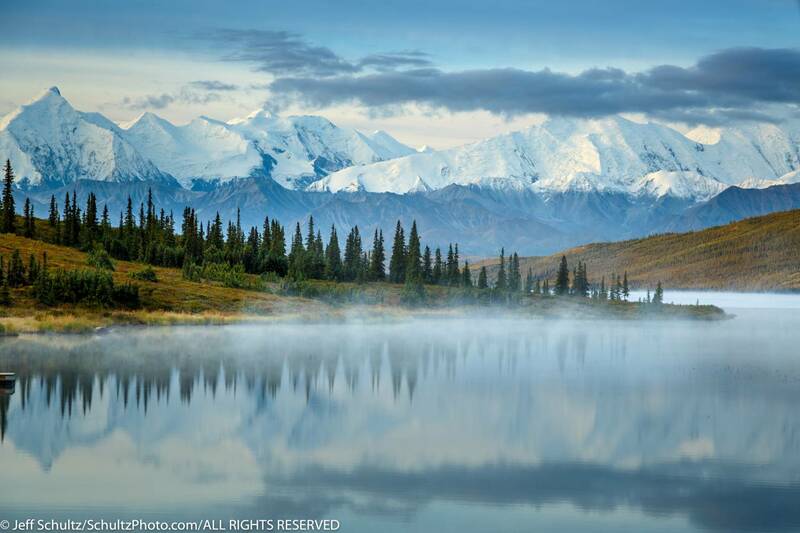 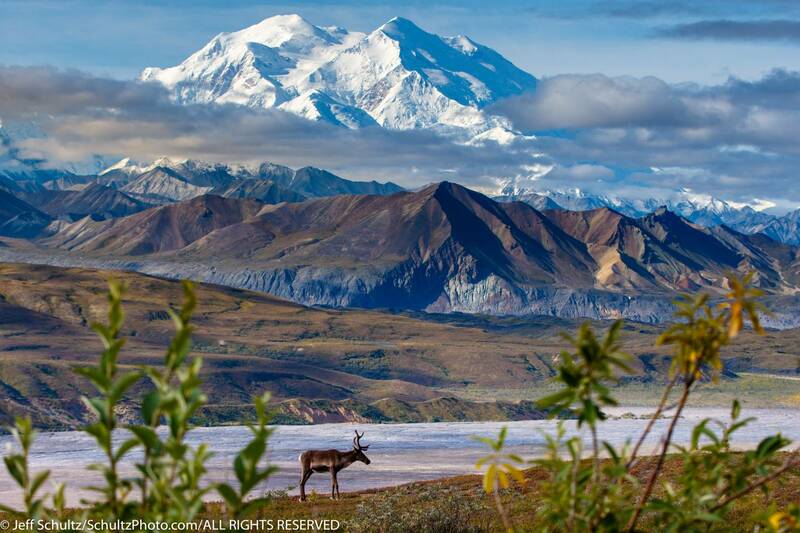 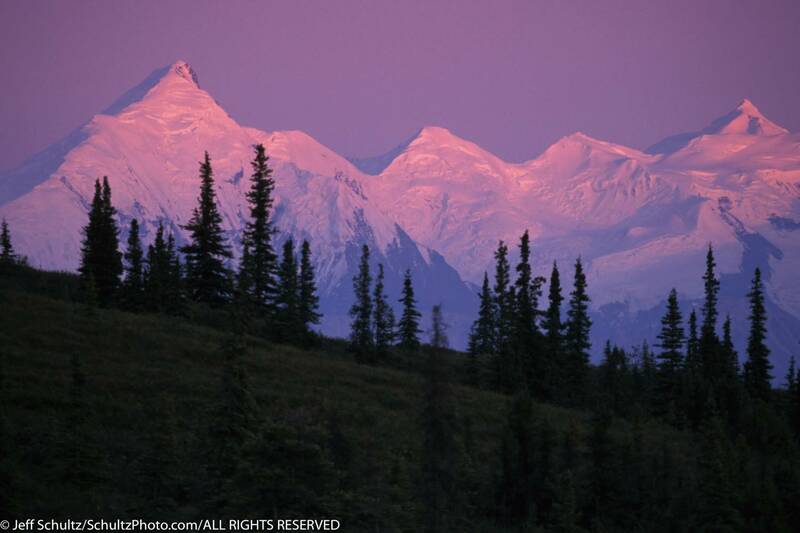 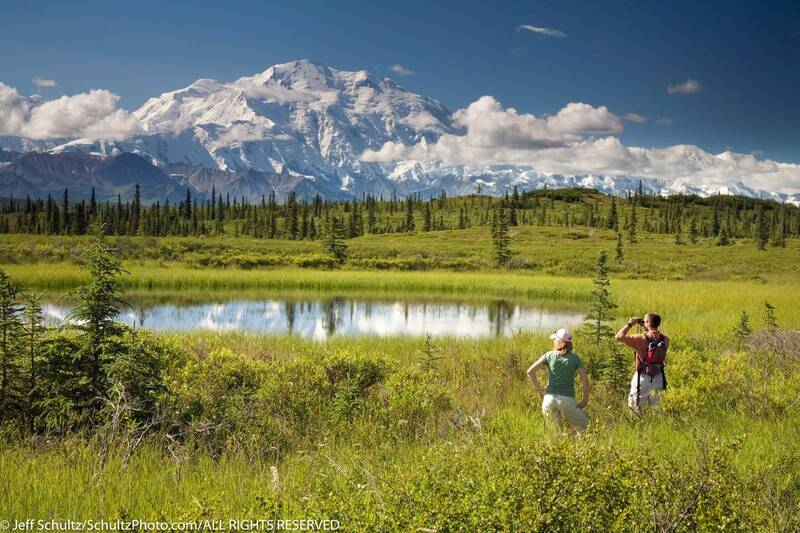 You will spend 4 nights deep inside Denali National Park where a view of Denali (formerly Mt. 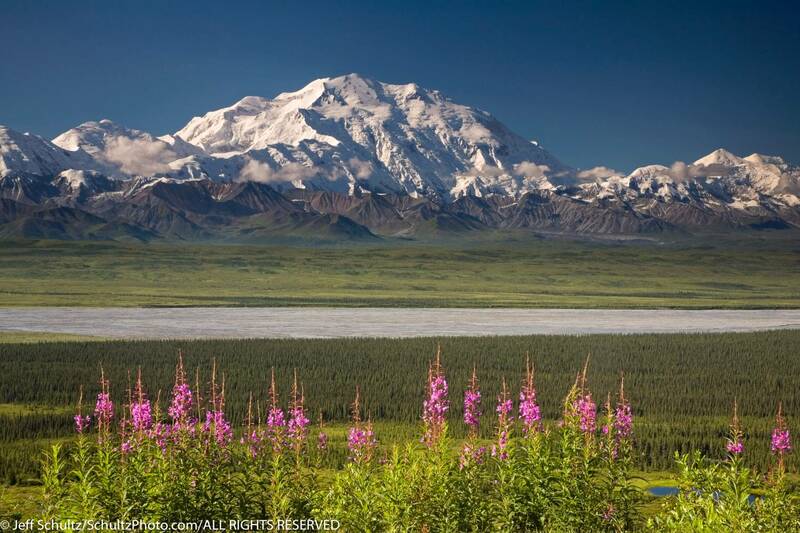 McKinley) is outside your cabin door (weather permitting). 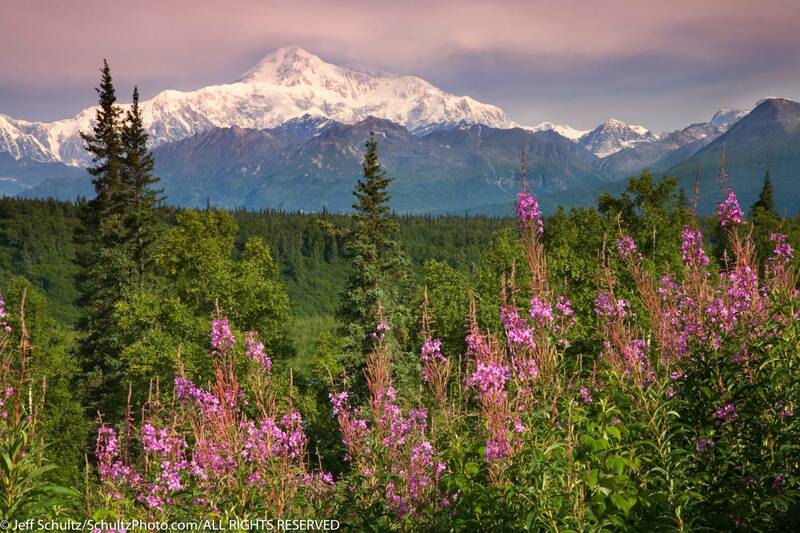 You’ll have two opportunities for an optional flight-seeing trip to view Denali and the massive glaciers that surround it from the air. 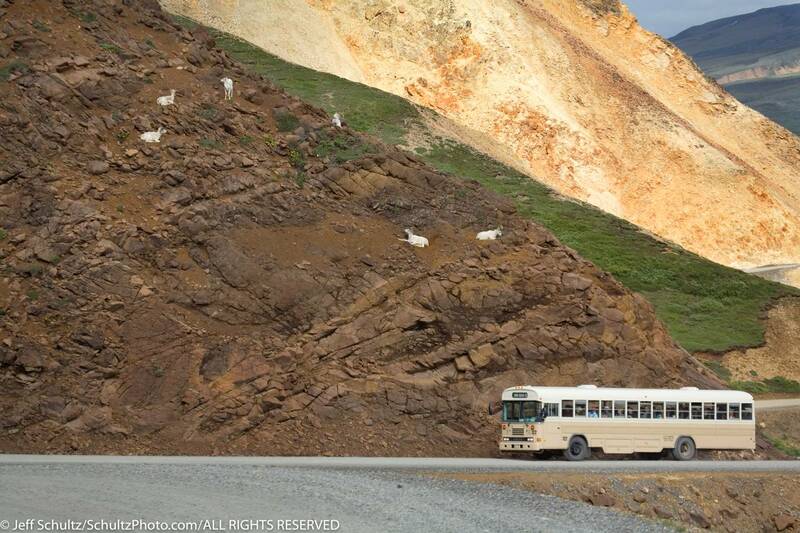 This exclusive photo will take you to unique locations, far from the tourist crowds. 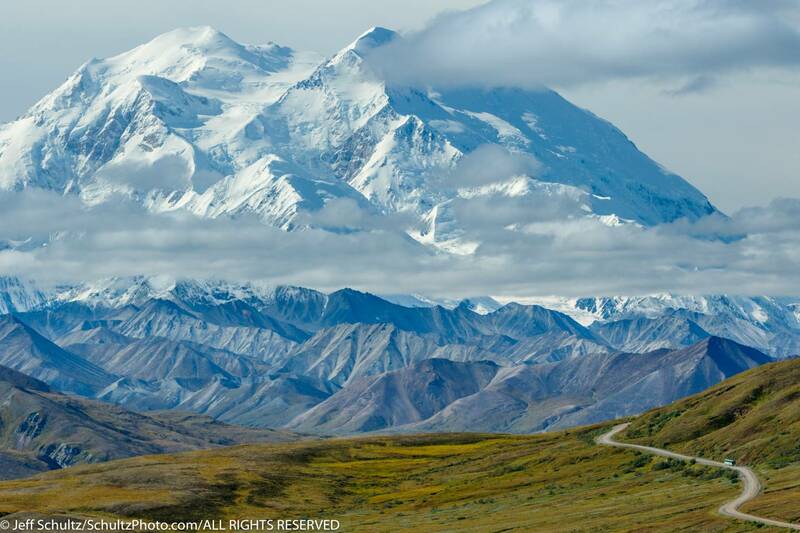 Your lead photo guide, professional photographer Jeff Schultz, has lived in Alaska for over 38 years and has been the official photographer of the Iditarod Sled Dog Race since 1982. 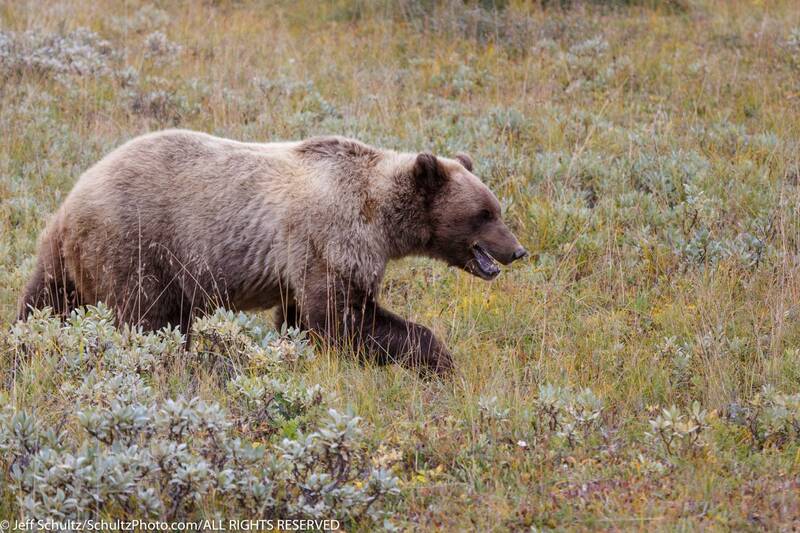 A second photo guide will also be on hand. 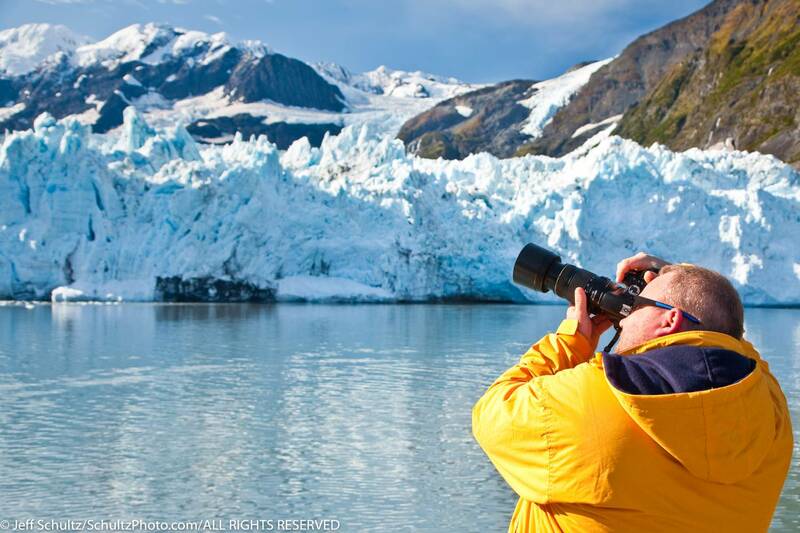 Partners who are not engaged in photography, will also enjoy this unique natural experience of the unparalleled beauty and tranquilly of Alaska as well as the ability to observe wildlife in their natural environment. 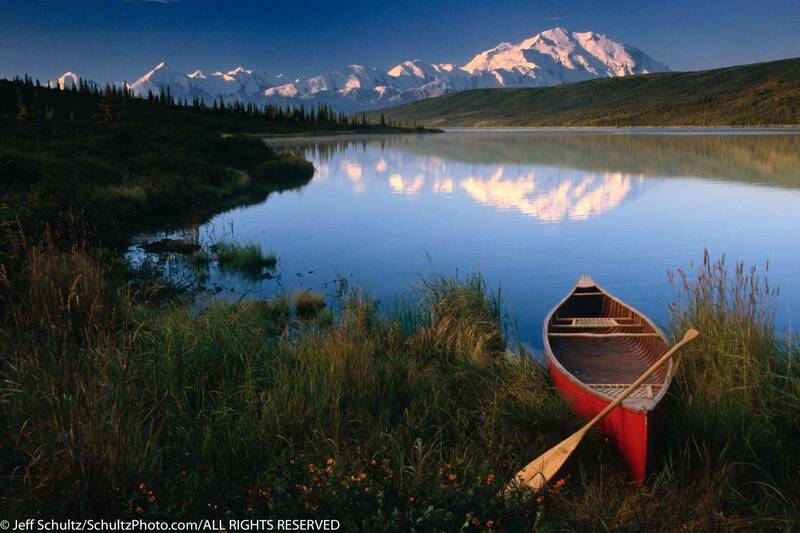 Standard Trip: $5340.00 per person, based on double occupancy. 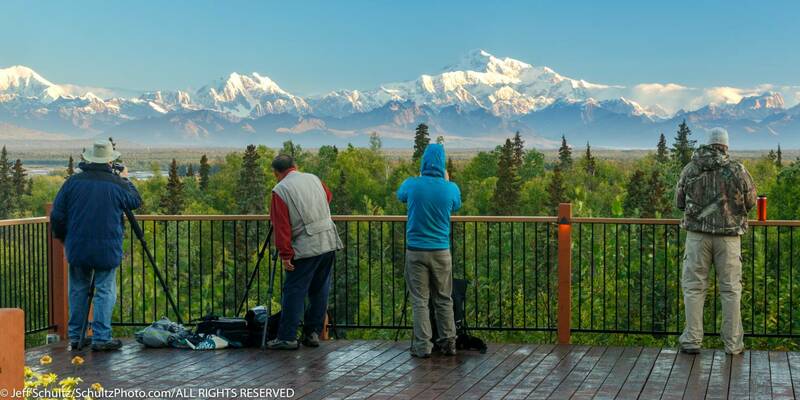 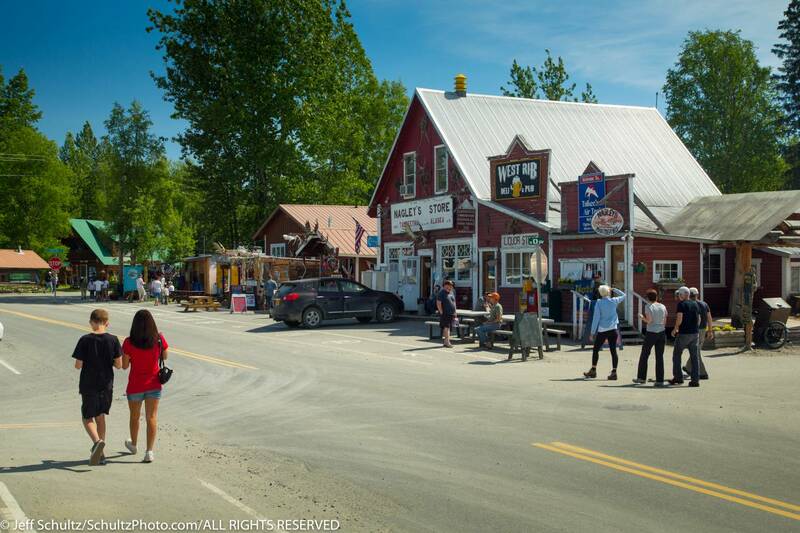 After breakfast in Talkeetna, we will drive our private mini-bus 2 hours to Anchorage where you can board your flight home, stay longer in Alaska or join us for another 7 days of unique Alaskan photography with our Bears of Alaska Photo Safari. 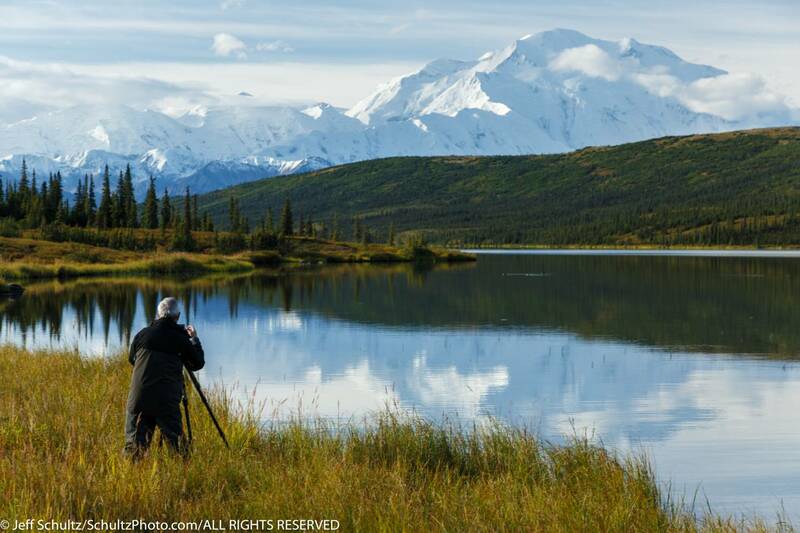 Our two June photo tours: Alaska Denali and Bears of Alaska can easily be combined to create a unique, one-of-a-kind 14-day Alaskan experience. 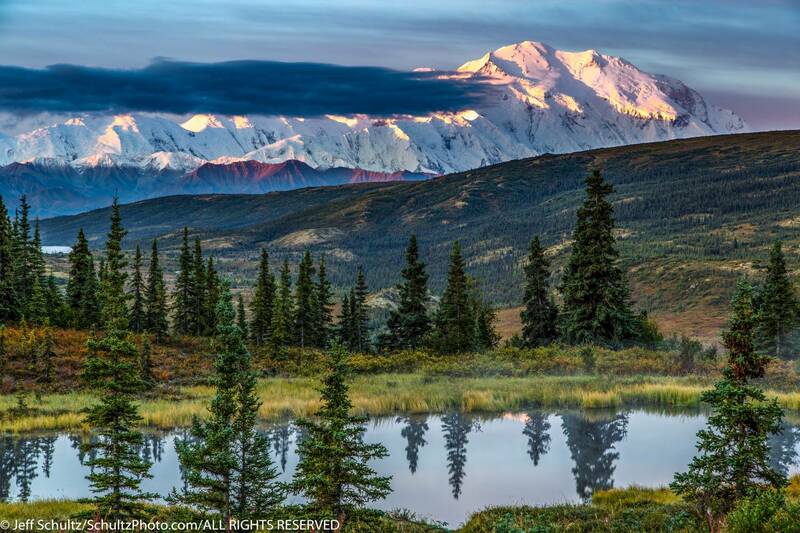 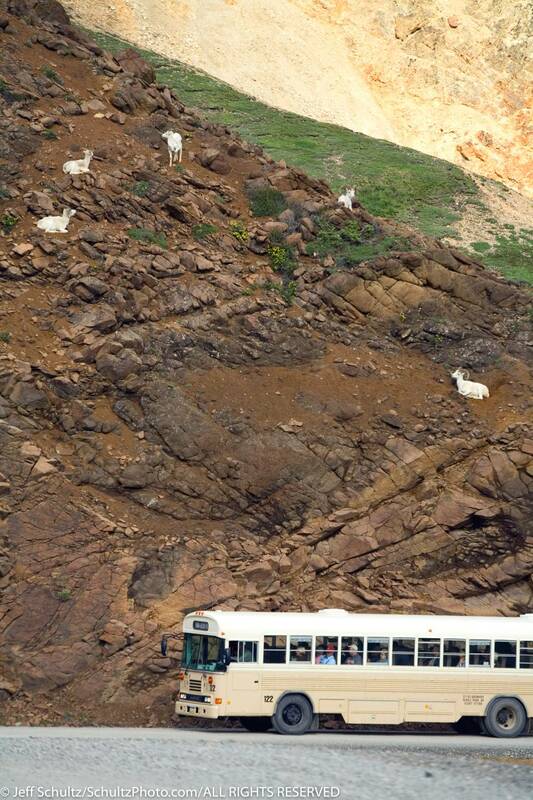 These trips together allow for an un-matched photo experience of Alaska. 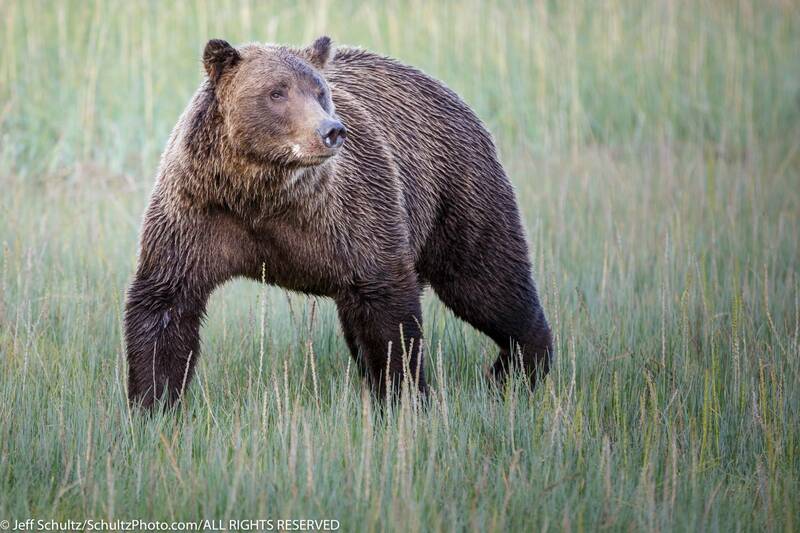 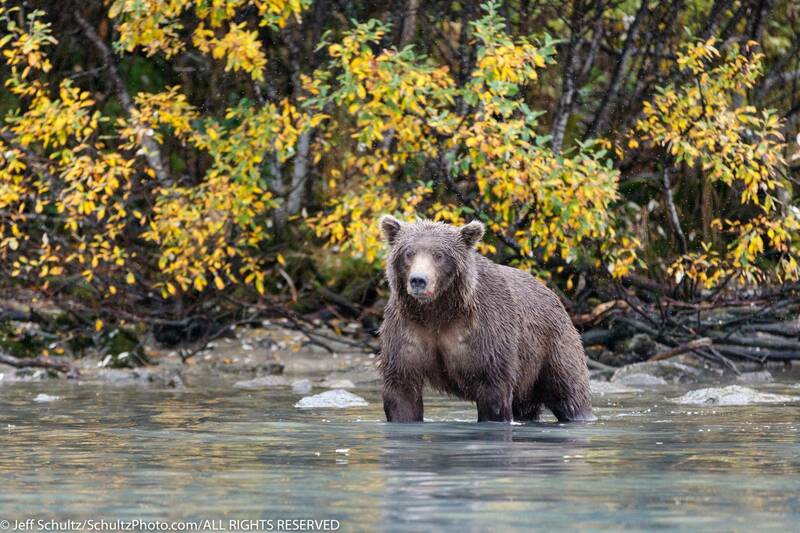 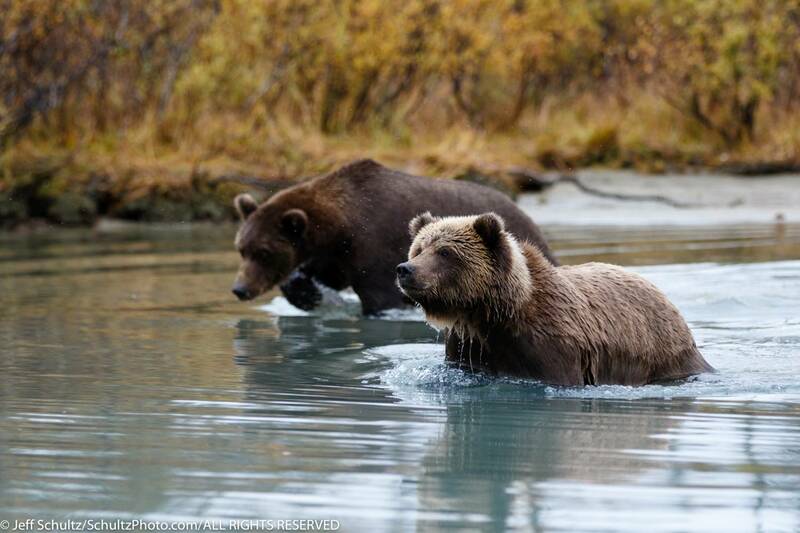 See more about Bears of Alaska here.